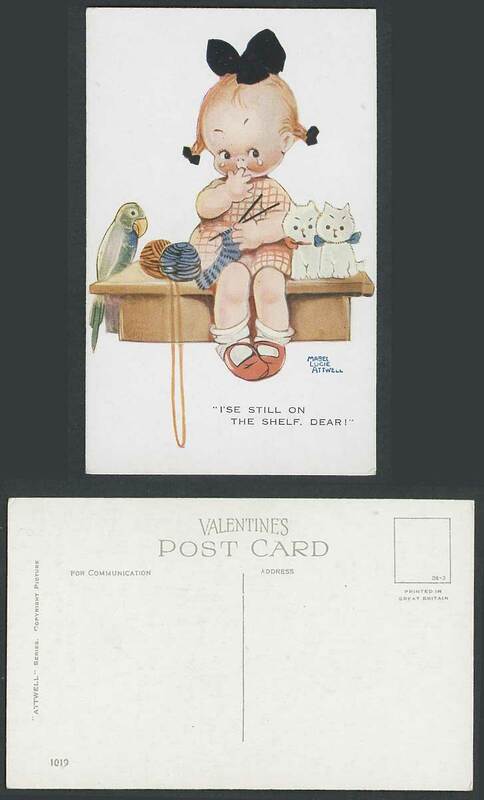 Vintage Valentine's Old Art Drawn Picture Post card. Artist Signed, Comic Humour, Genuine Mabel Lucie Attwell Postcards Have the Artist's Signature thus. Children. Little Girl with tears, knitting. Budgerigar. Parakeet Budgie Bird, Cats, Kitten. I'se Still on The Shelf, Dear! No. 1019.